How much should you spend on an engagement ring? And is the three months’ salary rule a thing of the past? Well, according to new research, spending on engagement rings has nearly doubled in the last year alone. Yep, Brits getting engaged now spend an average of £1,483 on a ring, compared to a more modest £785 in 2016. New research conducted by Protect Your Bubble has revealed that UK couples who have popped the question in the last year have spent nearly double (an 89% increase) the amount that was being spent on engagement rings in the previous year. Despite pricier engagement rings enjoying a bit of a revival, the tradition of spending three-months’ wages on the ring seems to be completely outdated now, with Brits forking out less than three quarters (-78%) of that on average. On the whole though, the choice of the engagement ring remains key to the proposal with a third of us (32.6%) saying it’s the most important aspect of a proposal. Piling on the pressure, one in nine (11.3%) Brits say they would turn down their other half if the proposal setting wasn’t perfect. Furthermore, it seems as though the pressure is still on men to offer up a rock at the right time with only 2% of women saying they would propose to their partner. Speaking about the study, Director of Protect Your Bubble, James Brown said: “This hefty increase in the amount that Brits are willing to spend on engagement rings could be a sign that consumer confidence is finally returning to the luxury goods market. “This increase will certainly come as welcome news to the jewellery industry, which will have felt the pinch following the Brexit referendum. He continued: “If Brits still followed the three months wages rule, it would have us spending over £6,000 on average for a ring, so it’s no surprise that the tradition has become somewhat outdated. These new figures follow a 2017 report from the insurance provider which found that Brits were spending 19 per cent less on rings than couples were five years ago. Of the 1,235 adults surveyed at the time, the data revealed that the number of couples spending less than £500 had seen a rapid surge, with 18 per cent more buying engagement rings for this amount compared to previous years. 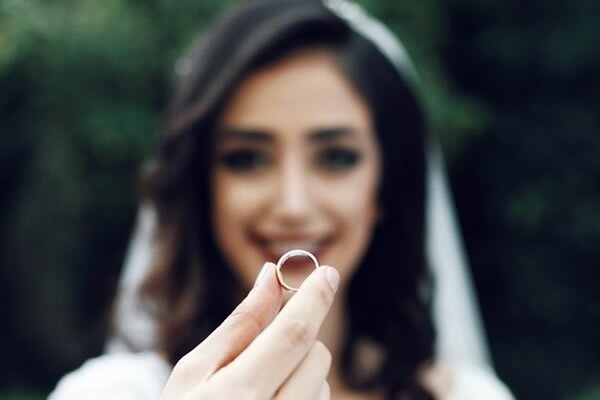 The study also showed that Londoners spend the most on their wedding rings, with an average cost of £2,778, while Northern Irish couples forked out the most on their engagement rings at £1,722.